Butterworth-Heinemann’s official CIM Coursebooks are the definitive companions to the CIM professional marketing qualifications. The only study materials to be endorsed by The Chartered Institute of Marketing (CIM), all content is carefully structured to match the syllabus and is written in collaboration with the CIM faculty. Now in full colour and a new student friendly format, key information is easy to locate on each page. Each chapter is packed full of case studies, study tips and activities to test your learning and understanding as you go along. 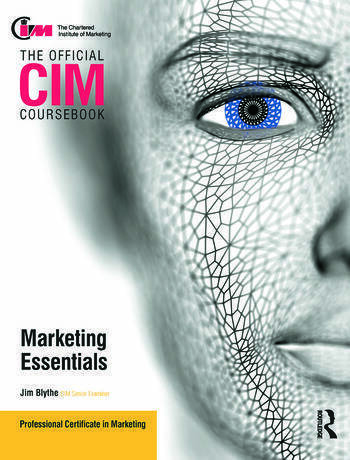 •The coursebooks are the only study guide reviewed and approved by CIM (The Chartered Institute of Marketing). •Each book is crammed with a range of learning objectives, cases, questions, activities, definitions, study tips and summaries to support and test your understanding of the theory. •Past examination papers and examiners’ reports are available online to enable you to practise what has been learned and help prepare for the exam and pass first time. •Extensive online materials support students and tutors at every stage. Based on an understanding of student and tutor needs gained in extensive research, brand new online materials have been designed specifically for CIM students and created exclusively for Butterworth-Heinemann. Check out exam dates on the Online Calendar, see syllabus links for each course, and access extra mini case studies to cement your understanding. Explore marketingonline.co.uk and access online versions of the coursebooks and further reading from Elsevier and Butterworth-Heinemann.